The Thalidomide Society was formed in 1962 and incorporated in 1963, by parents of children with impairments caused by thalidomide, which had been dispensed under the name of Distaval in the UK. 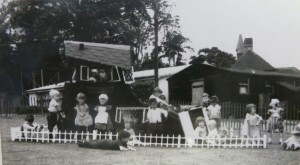 The Society was formed primarily as a support group for the children, their families and carers as there was little or no help from the UK government and health authorities. Their cause was taken up by Lady Hoare, wife of the then Lord Mayor of London, who established a charitable trust to support the thalidomide-affected children and other children born with similar dysmelic conditions. The Society coordinated its fundraising activities with The Lady Hoare appeal which, in turn, financed a network of family support workers. The Thalidomide Society’s Constitution is available by clicking here. The Thalidomide Society today has a Board of Trustees which currently has eight members, two of whom are Chair and Vice Chair. The current Chair of the Board is Geoff Adams-Spink and the Vice Chair is Stewart Lee. The Secretary is Ruth Blue and the Honorary Treasurer is Anthony McGarel-Groves. Together with the other Trustees, the Board works to pursue the goals and objectives of the Society as well as pushing forward into new areas of research and promotion. The Annual General Meeting and Conference of the Thalidomide Society takes place each spring and provides an opportunity for members and their families to meet, discuss issues and share news and memories. Our recent guest speakers at the conference have included Stephen McGann and Heidi Thomas from the Call the Midwife TV production team; Rick Clement, a former Sergeant of The Duke of Lancaster’s Regiment who lost limbs and suffered other injuries in Afghanistan; Jacqui Morris, a director of the film Attacking the Devil which documented the work of Harold Evans during the height of the thalidomide scandal. The Society’s current activities include fundraising, oral history, research and archiving as well as providing our usual support network. To fund its activities, the Society depends mainly upon investment income, individual donations, legacies, corporate donations and funds from government or other bodies. If you would like to help us in this way please follow the link to Just Giving on the Home page or contact the Secretary of the Society for more information. The Society produced two major commemorative events, one to mark 50 years since the withdrawal of thalidomide from the market (2012) and another on the 50th anniversary of the Society’s incorporation (2013). Our 2012 celebration was an international conference held at the Park Plaza Hotel in London, attended by over 300 delegates and including speakers such as Alf Morris, Harold Evans and Janet McCredie. In 2013, we celebrated 50 years of the Society’s endeavours with an oral history presentation and various members of the Society presenting the history of different decades. Copies of previous newsletters can be found in our File Store. The patrons of the society are Sir Harold Evans and Roger Graef. The Thalidomide Society is a registered national charity, number 231708. It is also a company limited by guarantee, registration number 770036.